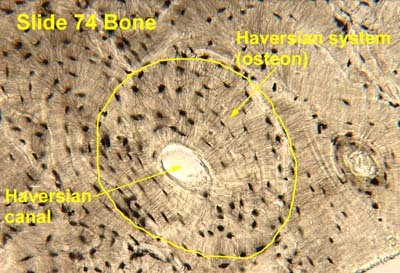 Clopton Havers has a bone to pick with you… so y’all can study it in the histology lab! This past week, while studying for a lab session in histology (the microscopic study of tissues), I stumbled upon one of the greatest names in the history of medicine – a name held by one of the most notable histologists of all time. Clopton Havers lived an extremely productive 45 years (1657-1702) in England. Born in Stambourne, Essex, and the son of Henry Havers, Rector of Stambourne, he got his MD in Utrecht, Netherlands, in 1685, and returned to London to practice medicine. Back in those days, precious little was known about the inner workings of tissue – Robert Hooke and his magnificent microscope had only first described the cell in 1665. Sensing an opportunity to make a major breakthrough, Clopton began researching the micro-structure of bones, and made some pretty significant discoveries. He is best remembered today for his discovery of what would become known as Haversian Canals – a series of tubes around channels in bone, surrounded by “radiating bony bits” (clearly not the technical term, but I’m not here to bore you!) in compact bone regions. A photo of a Haversian Canal, thanks to Oklahoma University. The Blog of Funny Names – making histology images famous since 2015! These are significant enough that medical students, histologists, and pathologists are still learning about Clopton’s “Haversian Canals” today. Talk about making an impact! He’s also known for making the first description of collagen fibers that connect bone to “periosteum” (basically “bone shrink wrap”), that came to be known as Sharpey’s Fibers, after a Scottish anatomist named William Sharpey described them a few hundred years later. We shall never know if Clopton Havers’ unusual but splendid name is what led him to greatness, but we will forever appreciate his significant contributions to science, and the countless hours he spent poring into a microscope when everyone else was out having a good time eating scones and wearing knickerbockers. Thank you Clopton! This entry was posted in Uncategorized and tagged bones, funny names, history, humor, humour, names, science. Bookmark the permalink. This was a most fascinating name discovery! 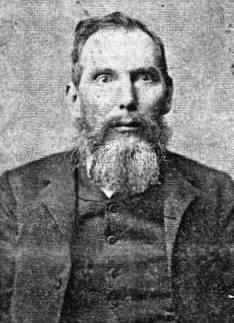 I also like the name of William Sharpey. It makes me think that Clopton Haversian made the first description of the collagen fibers, and William went over that with a Sharpie. Ha. Yes, these are such great ideas. The funny thing is that a lot of histology photos are annotated (I really hope for your sake that you haven’t looked at many histology photos over the years), so the sharpie idea makes total sense! I’m glad you liked the photo. It was one of only two photos that were available of the guy! Apparently Instagram wasn’t a big thing in the 1600’s. I don’t know what “clop” means, but I totally agree! Hmmm… I didn’t know when cameras were invented. Google lied to me?!? Whoever that guy is, I like his picture a lot! Clopton Havers : people who have cloptons? Hmmm. I never knew we had shrink wrap in our bones. I may need to see a shrink to talk about that. Maybe make a rap. EVERYWHERE! Haversian Canals usually have radiating rings, so they definitely look like Crop circles. Or as the Japanese might say, Clop circles. Which is totally appropriate given Mr. Havers’ name! I will give him the British courteous Clop Clop Clop. Yay you, the man making the difference between the Havers and the haver-nots! Great chapter in HIstology 101, Dave-ster.